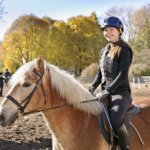 Activity Centres provide a great family outing with opportunities to do outdoor activities, such as horse riding, archery, rock climbing, tree-top rope challenges, mini-golf, and much more. Many of these centres also have a children’s soft play area, so you know your little ones will be safe, whilst they burn off some energy. 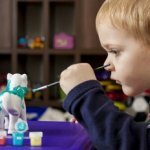 These activity centres also provide great indoor alternatives should the weather be too cold and rainy to venture outdoors, as many activities will be held indoors in poorer weather. If you and your children love chocolate then you will love The Chocolate Factory in Hawkshead. 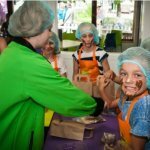 Here you can book onto special chocolate making workshops that cater either for children alone, family groups, or adults only. The workshops last around 45 minutes and children are provided with an apron and hairnet that they can keep along with their own creations. For those days when the weather is poor but you still want to climb, the Kong Centre in Keswick offers challenges suitable for the entire family. 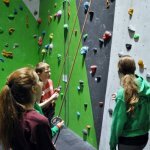 There is a large indoor climbing wall with various challenges, a bouldering room that includes a MoonBoard, a child friendly climbing wall, and a hard play area located within the café. Conveniently located for a those travelling from the M6 to western Cumbria and the Lake District, the Rheged Centre is much more than a service station. Home to a 3D cinema, a collection of shops selling artisan goods, gallery, and spa, there is plenty to see and do here. In addition, Rheged has indoor and outdoor play areas, a restaurant and café, and is host to regular exhibitions, markets and fairs. If you’re stuck for something to do on a rainy day in Keswick then the Puzzling Place is a great way to spend a couple of hours. Be amazed at gravity defying rooms, test your perception with optical illusions, and train your brain with testing puzzles. Located in the centre of Keswick, this is a great attraction for the whole family. Rookin House is a family owned activity centre close to Penrith, offering a whole host of activities suitable for both adults and children aged four and above. There is something to please everyone, with horse riding, archery, off-roading, quad biking, and shooting amongst the range available. You can even take a course in operating a JCB excavator! The centre welcomes both groups and individual bookings. 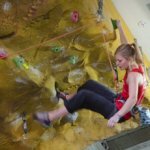 Are you someone who wants to get into climbing but are not sure where to begin? Or perhaps you are a parent or guardian with energetic children in need of a challenge. For a thrilling adventure that has the benefit of being safe and dry, look no further than the Lakeland Climbing Centre in Kendal. This hugely popular centre features an impressive climbing hall with dozens of routes available for both beginner and expert climbers. 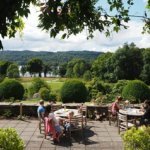 Packed with activities for the whole family, Brockhole was the UK’s first National Park Visitor Centre. Here you can stroll through designer gardens, tackle a tree-top ropes challenge, play a round of mini-golf, take a pony ride, or relax in the café whilst your children burn off energy in the soft play centre. There are regular exhibitions and a shop selling specialist Lake District products.